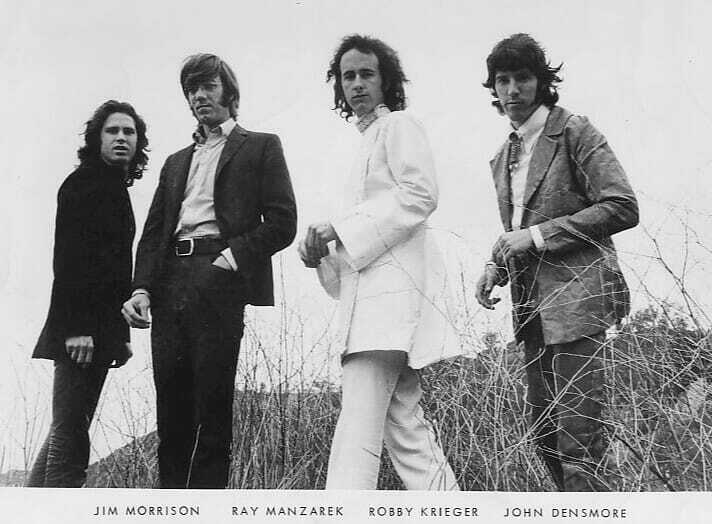 Editor’s note: John Densmore is the legendary drummer of The Doors. To learn more about Densmore, listen to Truthdig Editor in Chief Robert Scheer’s interview with the musician here. All this to say—if you are up against that wall—in a place where it feels like there are no options—and your intuition says it’s right … go ask Alice. I’m 73 years old and still feeling quite good about myself. Well, I know I’m on the descent, but it’s a nice ride … right now. I know it’s going to get more difficult, but if I can just hang on to what I experienced 50 years ago, I’ll make it to where I’m supposed to go. Fifty years ago, my friends and I were street scientists, experimenting with then-legal psychedelics. At Monday rehearsals, we would all share what happened on our weekend “trips.” On one of those Mondays, Jim suggested we call our new group The Doors, after the Aldous Huxley book, “The Doors of Perception.” It seemed the esteemed British scholar had written a little book about his mescaline experience. The new name quickly became unanimous. All of us went through the gauntlet—tough moments that lasted for a few minutes, or quite a while. A few friends never came back fully to their former mental selves, and actually, all of us were in some way changed forever—mostly in quite positive ways. Lifting the veil is dangerous, but if the environment is supportive, the outcome can be life-changing. I only took the trip a few times, but the opening is still with me. 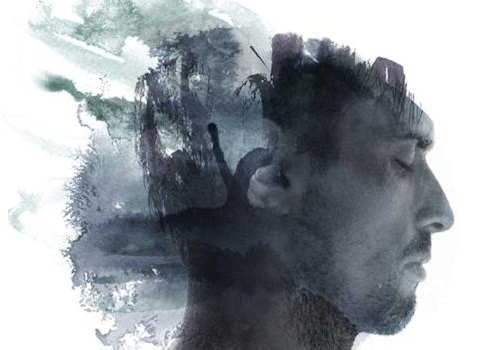 I realized these experiments were extremely rigorous on the nervous system, so I found myself heading toward a less shattering route: meditation. But the initial couple of liftoffs have definitely impacted my life permanently. Now, 50 years later, I still can touch the feeling of wonder that I got from these initial excursions. It’s hard to describe any more than that; kind of like trying to describe God. My 90-year-old cousin, who is a diligent thinker, laments the loss of the framework of organized religion. I told him that the impact of a tab of acid made a much bigger impression on my spiritual life than the communion wafer at mass. And I can’t go back. Even though Pope Francis is challenging my renegade Catholicism because he is so wonderful, I still can’t go back. The great mythologist Joseph Campbell says that the new mythology might take 100 years or so to fully form. So I comfort myself with a patchwork cosmology: a little Hinduism here, a dash of Buddhism there, and a whole lot of indigenous wisdom. Let me be clear—I am not advocating indiscriminate drug use. But recent studies have shown that used carefully, some psychedelics can actually help treat addiction to other drugs. Plus, carefully conducted scientific studies from nonprofit organizations and major universities are showing many physical and psychological benefits, including a powerful treatment for PTSD and anxiety in people with serious illness. Even the much-maligned weed is showing stunning evidence as an important medicine that fights diseases like epilepsy and cancer. Of course, there are those who will quickly judge this rant as a “hippie flashback.” If that’s what this is, then bring it on. I have raised a family, have grandkids, written three books, a significant amount of music, and many articles. No slacker’s or stoner’s rant is this. 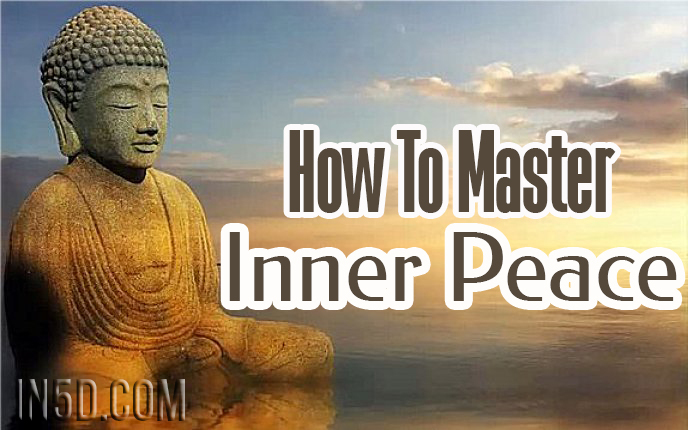 In fact, I’m very careful now about what I put into my system, and those early days of exploring my mind were key in forming my values and my spiritual path. Now here’s the cosmic part (you saw it coming): when I stepped outside while under the influence of LSD, I saw God in every leaf. OK, now you expect me to say I started eating those botanicals since I was so loaded, but what I really came away with is a sense (which is still with me) that this moment in time is not the only moment happening at this moment! This might sound like double-speak, but there are other realities going on right now outside of our awareness. But before I stepped outside, I had a few minutes of absolute terror. My friend, who was also “tripping,” pulled me out of it by laughing hysterically. You see, in those days, we didn’t have doctors like today at Johns Hopkins Hospital in Baltimore carefully monitoring our voyage. Due to our early experiments, and of course centuries-old shamanic cultures, researchers are now clear about the safe boundaries needed to make the excursions the most fruitful. Knowledge is often surrounded by danger. You have to get out on the edge to see the whole clearly. Every night when we choose to go to bed, we are accepting a “little death,” giving up our conscious daily life. We know we need rest to reset our body for another day of sentient life. In effect, it’s a small rehearsal for the big “D” coming at the end of our time here on planet Earth. When that time arrives, going peacefully is what we all want. For thousands of years, Tibetan Buddhists have believed it is crucial to be calm in the moments before crossing, or you won’t get to where you’re supposed to go. Now we are seeing terminal cancer patients receiving effective help via psychedelics with the “little death” rehearsal. So once again, the U.S. government is very slow to get the message and continues to interfere with the availability of traditional indigenous medicine. Bipartisan support for criminal justice reform has been halted. Medicine that has helped people for centuries is once again under attack. It’s sad, because Vietnam vets that have been metaphorically stuck in the jungle have been finding their way out of years of mental and emotional torture thanks to medicinal plants. Retired Sgt. Jonathan Lubecky, who served in Iraq, says about MDMA-assisted psychotherapy, “This treatment has made it possible for me to watch my son grow up. He will not be presented with a folded flag on behalf of a ‘grateful nation’ in recognition of a parent who took his own life.” So unfortunately, there are more roadblocks to the “good” drugs, but thank God for human enterprise. No wall can keep out the human spirit, which seeks healing. All this to say—if you are up against that wall—in a place where it feels like there are no options—and your intuition says it’s right … go ask Alice. Make sure you have planned your excursion, have a guide, and this is really what you need to do. Then you will build a bridge or dig a tunnel into your soul and find yourself. “A man’s mind may be likened to a garden, which may be intelligently cultivated or allowed to run wild; but whether cultivated or neglected, it must, and will, bring forth. If no useful seeds are put into it, then an abundance of useless weed seeds will fall therein, and will continue to produce their kind.” — James Allen in As A Man Thinketh. I’m a ravenous consumer of content. I bet you are, too. If we are what we eat, for better or worse, the content we consume becomes our reality. It becomes the story we tell ourselves, the principles we believe in, and it may even determine our health. Some content is detrimental and some is beneficial. Because we’re bombarded with information from every direction, it’s never been more important to carefully curate what we consume. Practically everything we observe and experience now seems to be “content.” From music, movies, books, news, politics, gossip, work, friend feeds and texts, even to our immediate surroundings like how our homes are decorated. Sometimes the noise and choices can get overwhelming. This overload is like decision fatigue. Steve Jobs popularized the idea of “decision fatigue” when he chose to wear the same outfit of clothing every day to eliminate wardrobe decisions from his daily decision bank. Decision fatigue describes when we make too many decisions in too short a time, we significantly reduce our decision-making ability. Some common effects from decision fatigue are losing self-control over things you normally refrain from doing, decision paralysis, or beginning to avoid making decisions altogether. Significantly, life starts happening to you instead of for you. High performers like Steve Jobs require life to happen for them, not to them. Often we’re tempted by the emotional clickbait headlines without considering the consequences on our psyche. There are some things we cannot unsee or unhear. Words and images affect us. They mold our reality. We have to ask ourselves if we really want to manufacture more rage in our lives. Rarely do we stop to deliberately protect ourselves from the content we consume. But like the James Allen quote above says, the mind will grow harmful weeds if not deliberately cultivated. These weeds can be damaging. 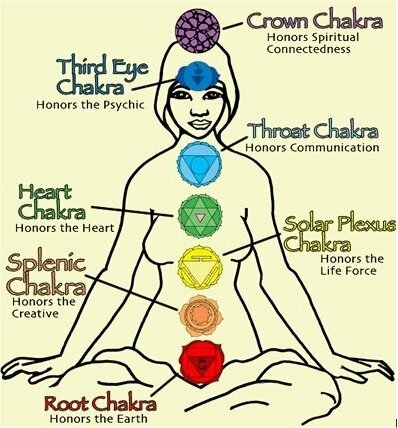 They seem to manifest as stress or anxiety which can lead to a host of mental and physical ailments. And much like decision fatigue, we seem to lose room for critical thought and productive ideas to blossom. For me the flood of content I was consuming caused me anxiety. I was in my mad-as-hell stage of awakening and I was rabidly rage-clicking on endless reels of content that confirmed my rage. I thought being awake meant “if you aren’t angry, you aren’t paying attention.” But I was wrong. Then I had a simple epiphany: the best way to better the world around me is to better myself. I was responsible for the content I consumed and how it made me feel. I realized that I was planting the wrong seeds in my mind and they were producing choking weeds. The rage I felt toward the machine dramatically subsided. As a Man Thinketh was instrumental in shaping this epiphany. Listen to it for free below. Upon focusing my thoughts to more fruitful purposes, my life started getting better. Suddenly it made sense that this strategy, individually, would be far more effective activism than merely raging against the machine. Don’t get me wrong, I think it’s healthy to be angry at the right things. But when we’re experiencing information overload, it’s all too easy to become angry over trivial differences in tribalism, for example. So the next time you catch yourself tempted to click on “rage clickbait,” ask yourself if that’s the type of garden you want to cultivate in your mind. Does rage make your life better? What will? Crystals given as a gift are a precious experience, and as you start to use crystals more, you may begin to find crystals, or rather, they find you! 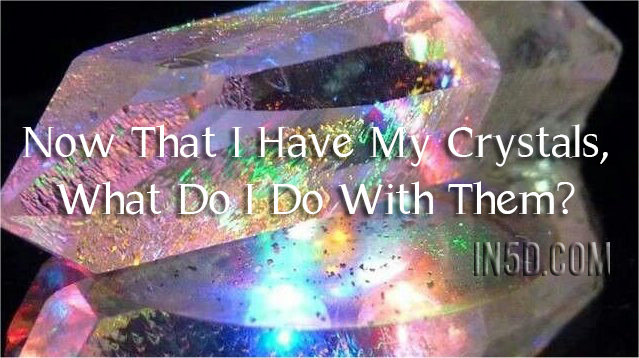 It is not uncommon for these crystals to be just what you need at that given moment. It is also not uncommon to lose crystals, and although this can be upsetting when your favourite goes missing, it is usually an indication that the crystal has served its purpose in that situation and is no longer required. This is particularly so with “Record Keepers” and “Window” crystals. , which combines cedar, sage, and often other herbs. 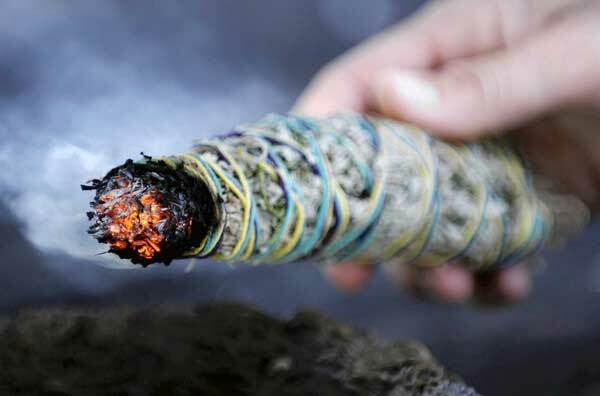 This method is excellent for clearing your crystal as well as yourself and your environment. We prefer it for clearing jewelry. , often said that he had only one rule for changing one’s life. That was: The point of power is in the present. When we concentrate on the present, we experience our aliveness, the strength of the energy which flows through us. We learn to recognize that energy as power, the raw material with which we create ourselves and our worlds.